Ransom is a fun-loving boy. 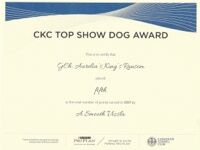 At 7 months old, in his first two weekends of showing, he earned his Champion title. 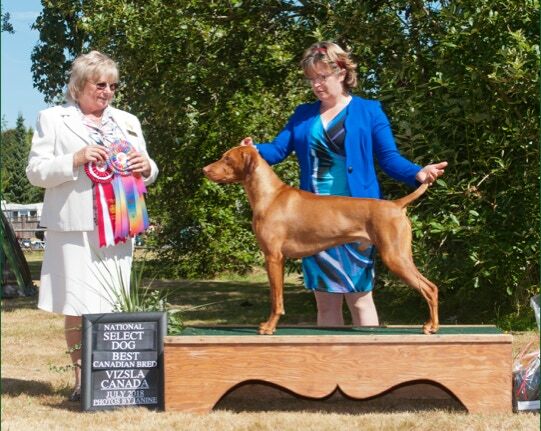 At 9 months old he completed his Grand Champion title at Vizsla Canada’s Regionals, winning Best of Breed, Best Puppy and Best Canadian Bred. 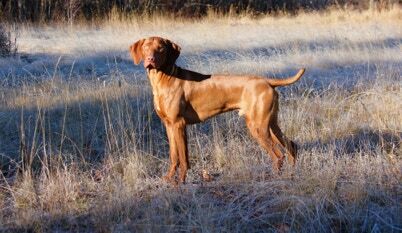 In 2017, with 4 months of showing, Ransom was #5 Vizsla, #2 Male Vizsla and #1 Vizsla Puppy in Canada. 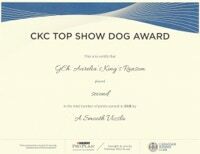 We look forward to more adventures with Ransom.